Baseball Road Blog, originally uploaded by thejesse. From 6:45 this morning. We had to get up early this morning to make the drive to Josh's tournament. 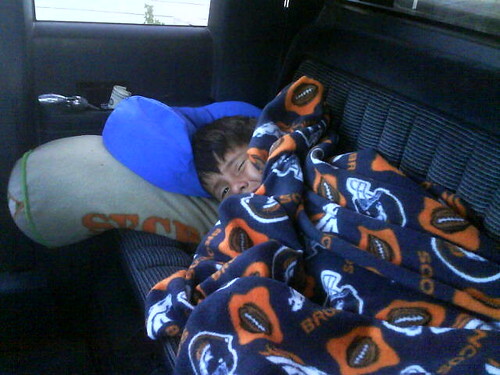 Jake decided it would be a good idea to sleep in the truck so he didn't have to get up until we reached Boise. He made it all night in the truck and didn't wake up until we pulled off the Interstate. I snapped the picture as we left home. ---- Sent using a Sony Ericsson mobile phone.